Have you ever thought about RAHB meetings and events as a service to you? RAHB membership meetings are held at least twice a year: the Annual General Meeting is held every March and the Annual Election Meeting is held in late November or early December. These are important meetings, where you can learn more about, and have a say in, the business of the Association. Your Association goes far beyond those two business meetings to offer you opportunities to learn more about current issues, to participate in discussions with the RAHB leadership and other members, and to meet with your fellow REALTORS® to network and/or support great causes. These meetings and events support RAHB’s focus on member development, member service, member engagement and member enablement. RAHB meetings and events reach far and wide to ensure that members in all of RAHB’s market area have opportunities to participate. And the areas of focus are many, including education, specializations, and community and charitable works. Members can enjoy many of these events for free or for a nominal fee, and they always provide a great return! Have a look at the RAHB member meetings and events that will take place before the end of 2017. Why not make it a goal to attend one, two or more? You will meet your colleagues in a great environment, will have supported your community, and you will be more informed to better serve your clients. Visit rahb.ca/events for more details. A notable benefit to RAHB members, particularly for those who work in commercial real estate, is RAHB’s Regional Commercial Network (RCN). The RCN Committee works throughout the year with a focus on promoting commercial REALTORS® for advocacy surrounding matters regarding commercial real estate, as well as developing and hosting specialized commercial education sessions and networking events which all RAHB members are welcome to attend. RAHB members who are already active commercial practitioners or have a strong interest in honing their commercial skills are encouraged to consider joining the Regional Commercial Network, as either a full or candidate RCN member. Membership in the RCN includes networking opportunities, peer-to-peer communication tools, promotion in the RCN membership roster and more. Full members of the RCN may use the RCN logo in their marketing and promotional materials, and they are identified as a recognized commercial specialist. Did you know that RAHB has its fingers on the pulse of what’s going on municipally, provincially and federally through its Government Relations Committee? And that RAHB has built relationships with business organizations to become an influential member of the community? Your association is very much part of the local and wider communities so that your interests – and those of home buyers and sellers – are considered and protected when decisions are being made.Your association is very much part of the local and wider communities so that your interests – and those of home buyers and sellers – are considered and protected when decisions are being made. RAHB’s leadership and Government Relations Committee representatives participate in annual CREA and OREA Political Action Conferences, where the big event is meeting with local MPs and MPPs to discuss real estate-related issues. These relationships are built further at local visits with the same representatives. RAHB worked to dissuade Hamilton City Council from adopting landlord licensing and to encourage the city to develop and present a program to encourage landlords to safely create secondary suites through simple, legal means. As this conversation continues at City Hall, RAHB has a voice at the table to ensure affordable housing is maintained in a safe way. In 2015, RAHB’s Government Relations Committee successfully lobbied City Councillors to discourage them from considering asking for powers to impose a municipal land transfer tax. 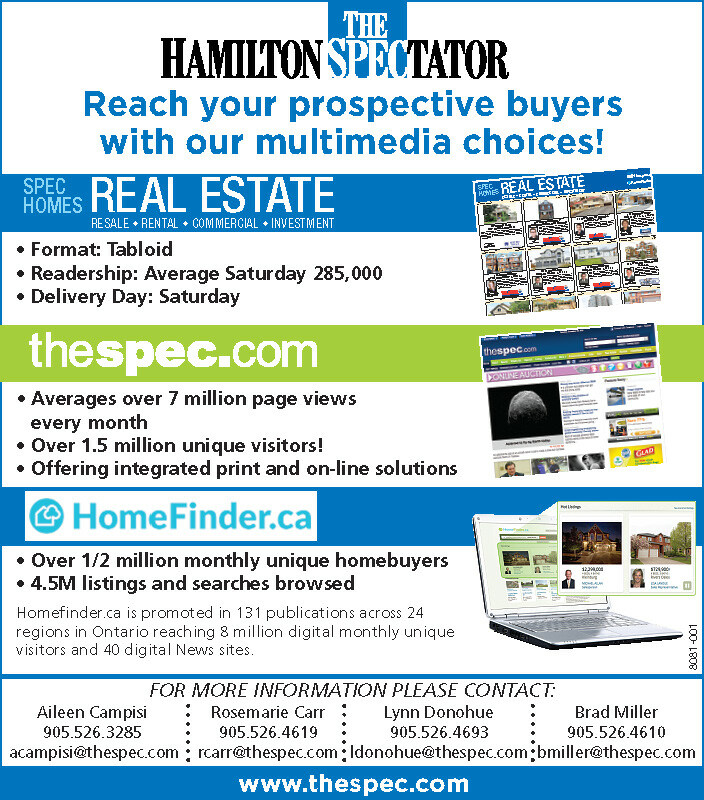 RAHB partnered with the Hamilton Chamber of Commerce and Hamilton-Halton Home Builders Association in the 2014 civic election. Together, as the Hamilton Business Leaders, the group hosted a Q&A with the mayoralty candidates. Representatives from RAHB are consistently invited to participate on committees, as part of focus groups and in other forms of stakeholder engagement in Hamilton, Burlington and beyond, allowing members voices to be heard as well and information to flow both ways. RAHB holds membership in all Chambers of Commerce of communities within its boundaries, and actively participates in Chamber activities in Hamilton and Burlington through sponsorship of events, including most recently, the Bay Area Economic Summit. Services Spotlight: How would you like to pay? RAHB makes it easy to pay your monthly account and your quarterly dues. How can you pay? Let us count the ways! If you are at the RAHB office, you can pay your account either at the Realty Shoppe on the lower level or ask at reception for one of our corporate services staff. You can pay your invoice using Visa, MasterCard, Interac, cash or cheque. Just give Karin a call (905.529.8101 x258) and give her your Visa or MasterCard number and she’ll take care of the rest. There are three ways to pay your account online. Use the link called RAHB Education/Account Services on your dashboard (SSO) (rahb.starrs.ca – look under the RAHB News and Membership Services section). The link will take you to Membership Director*, where you will have to use your Fusion login and password to get to the My Services menu; use the Pay/View Bill Online option to see your account. Pay using Visa, MasterCard, AMEX or Visa Debit. Through Fusion – go to the Resources widget, click on SmartLinks, then click on Education/ Account Services. You will go straight to My Services where you can view and pay your bill online. Pay using Visa, Mastercard, AMEX or Visa Debit. For CIBC/PC Financial, Royal Bank, Scotia Bank and TD Canada Trust customers – contact Karin for assistance in setting up your payment through your bank. You can make pre-authorized payment through your Visa or MasterCard or by from your bank account. Forms are available on REALTOR Link® (look under the Forms and Member Changes section), the RAHB website (rahb.ca > Membership Benefits > Join RAHB Today button > Forms and FAQs section) or from Karin – give her a call. Use the payment method most convenient for you! *While you are in Membership Director, why not see what else you can do in this program? Print your monthly statements and even an annual statement for your taxes – just put in a specific date range and you will see your purchases and charges itemized within that date range. For your taxes, use the date range of January 1 – December 31 of the tax year. This handy program will even break out the HST as a separate item! See the record of RAHB committees on which you’ve participated. View RAHB’s calendar of upcoming courses. Register for RAHB’s professional development courses using your Visa, MasterCard, AMEX or Visa Debit. As a RAHB member, you are held to a high standard of professionalism. You have to abide by the regulations and Code of Ethics in REBBA 2002, the CREA REALTOR® Code and the RAHB MLS® Rules and Regulations and Policies. That’s a lot of regulation! It’s no surprise that, especially with the busy real estate market we have now, there are times when rules are forgotten and the Golden Rule – “Do unto others as you would have them do unto you”, which is the basis for the REALTOR® Code – gets a bit tarnished. When that happens, other members – and sometimes buyers and sellers – are affected. As everyone knows, just one bad experience with a REALTOR® will leave an impression with a buyer or seller that will be hard for every other REALTOR® to overcome. If you are in a situation where another member has acted contrary to what is required or expected of a real estate professional, you do have a remedy: you can make a formal complaint to RAHB or to RECO, depending on what occurred. RAHB can deal only with complaints that are violations of RAHB’s MLS® Rules and Regulations or Policies, or those parts of the REALTOR® Code which do not have counterparts in REBBA 2002. If another member’s actions violate any regulation of REBBA 2002 or the Code of Ethics found in REBBA 2002, then only RECO can proceed with the complaint. Why make a formal complaint? Unlike just talking about what happened to you and/or your clients and customers over the water cooler and being upset about it, making a formal complaint can actually accomplish something. If it is a matter RAHB’s Professional Standards Committee can investigate, the member who violated rules and regulations, policies or the REALTOR® Code can be disciplined for his or her actions. Apart from the pain of paying a fine, there is also a lesson learned about what is appropriate – or not appropriate – behaviour. It is the same with complaints to RECO for violations of REBBA 2002 and the Code of Ethics – the member can be ordered to pay a fine or take additional courses that are relevant to the infraction. Everyone benefits when members’ improper behaviour is formally reported to RAHB or RECO: when unethical behaviour is not tolerated, it makes REALTORS® look that much better to buyers and sellers, and you get to better serve your buyers and sellers when everyone is playing by the same rules. What’s involved in making a complaint to RAHB? When you fill out the form, you will have to name the person you believe violated one of the rules, policies or the REALTOR® Code and explain the situation. The Professional Standards Committee will review your complaint to determine whose jurisdiction the complaint falls under: RAHB’s or RECO’s. If the complaint falls under RAHB’s jurisdiction, a file will be opened. Researchers will be assigned to the case and will interview both you and the member being accused of improper behaviour. As a member of RAHB, you can make use of this valuable member service to improve your working conditions with your clients and customers, and to make sure they see you and all REALTORS® as the professionals you are. Every member knows the value of the RAHB MLS® System – it is our primary service to you and it is an integral part of your business. RAHB has always been on the leading edge where MLS® Systems are concerned – in 1949, RAHB produced Ontario’s first Multiple Listing Service, and in 1951 instituted the first Photo Co-Op System in Canada. Ever since those first forays into a cooperative listing service, your Association has provided up-to-date systems, and has continuously upgraded those systems so that you have a reliable tool that gives you the information you need to assist your clients and customers. Your MLS® System is not all bits and bytes and servers and data, however; there are also people who are part of RAHB’s MLS® System. 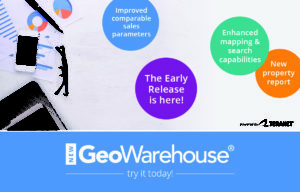 RAHB’s MLS® Department provides telephone support on all parts of the system –Fusion, the regional Matrix, GeoWarehouse access, WEBForms® and the Statistical Information Management (SIM) program. 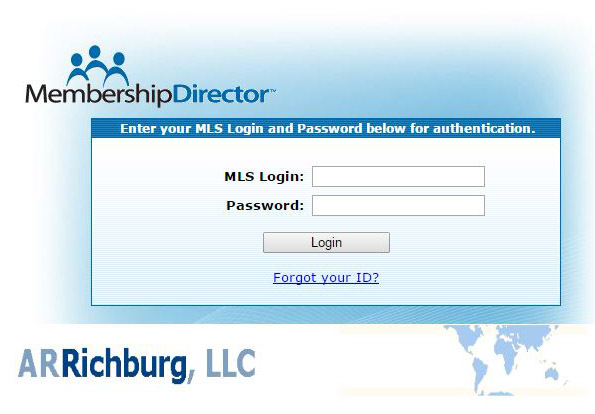 RAHB MLS® support staff also answer questions about MLS® rules and regulations and policies, and the remediation process that begins when it appears that someone else may be using your login credentials. In addition to telephone support, RAHB’s MLS® Supervisor provides new member training in Matrix, and produces webinars and tutorials for the new RAHB Matrix MLS® System. When you need assistance with the MLS® System, be sure to contact the RAHB support staff at 905.667.4650, from 8:30 a.m. – 4:30 p.m. daily on weekdays. Services Spotlight – What is RAHB’s most valuable member service? This month, instead of focusing on one member service, we’re going to look at what members have had to say about the services that are most valuable to them. Other services that didn’t make the “top” list were REALTORS® 4Kids Charity Auction, Karan Barker Scholarships, AD&D insurance and meeting room rentals. Your RAHB membership provides numerous and diverse services. Which are most important to you? Your association is very much part of the local and wider communities so that your interests – and those of home buyers and sellers – are considered and protected when decisions are being made. RAHB’s leadership and Government Relations Committee representatives participate in annual CREA and OREA Political Action Conferences, where the big event is meeting with local MPs and MPPs to discuss real estate-related issues. It is also an opportunity for RAHB and its representatives to build relationships with local politicians. RAHB worked with the Hamilton and District Apartment Association in 2013 to dissuade Hamilton City Council from adopting landlord licensing and to develop and present a program to encourage landlords to safely create secondary suites through simple, legal means. As a result, Council chose to not introduce landlord licensing and asked RAHB to participate on a City sub-committee to review options for dealing with legalizing and/or making safe secondary suites. RAHB’s Government Relations Committee members met with City Councillors to discourage them from considering asking for powers to impose a municipal land transfer tax. RAHB partnered with the Hamilton Chamber of Commerce, Flamborough Chamber of Commerce and Hamilton-Halton Home Builders Association in the 2010 civic election. Together, as the Hamilton Business Leaders, the group brought the issues of jobs and prosperity to the election. 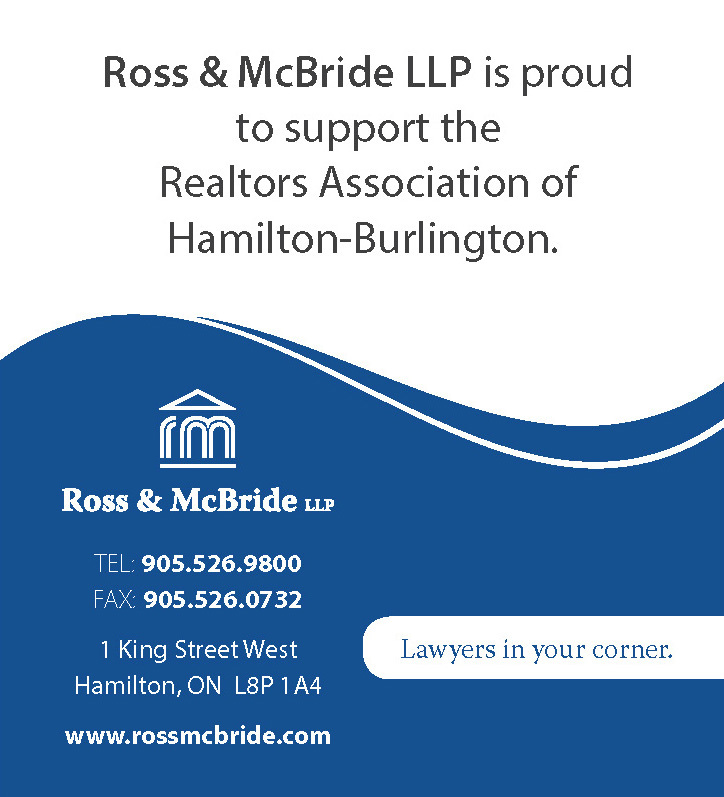 RAHB holds membership in all Chambers of Commerce of communities within its boundaries, and actively participates in Chamber activities in Hamilton and Burlington through sponsorship of events. Very soon, RAHB will be putting out a call for volunteers. When we talk about volunteers at RAHB, we are talking about members – members who make up the various committees and task forces that provide input and insights to the Board of Directors and CEO. We’re also talking about the individual Directors on the Board, because each Director is serving as a volunteer. Volunteers are the backbone of our association and the work they do is invaluable. All members are eligible to sit on a committee or task force to offer their expertise and opinions to make policy, plan events, recommend changes, enforce professional standards and much, much more … all on behalf of all members of the association. Volunteers may not be paid for the work they do on a committee or task force, but there is compensation – personal satisfaction, new contacts and an invitation to attend the annual Appreciation and Awards Gala in January – RAHB’s way of saying “thank you” for everyone’s hard work. And when you see the invitation to volunteer on a RAHB committee or task force, be sure to put your name forward for this important work. Everyone knows that RAHB has exceptional members, but did you know that there are ways these members can be recognized and their contributions celebrated? RAHB has four awards that recognize RAHB members who go above and beyond! These awards are truly a recognition by peers, as recipients are chosen by task forces made up of RAHB members. Awards are made only when candidates meet stringent criteria, so they may not be given out every year. The Volunteer of the Year award is presented to a RAHB committee member who demonstrates exceptional qualities, enthusiasm and perseverance or has gone above and beyond to serve their fellow RAHB members. The Award of Merit goes to a RAHB member who has shown exceptional dedication and service to RAHB and has contributed positively to RAHB for three or more years. The Outstanding Community Service award is presented to a member who has shown outstanding dedication to the real estate profession and exceptional volunteer service to their community for three years or more. Do you know a member who you think should receive one of these awards? If so, be sure to nominate them for an award! Watch REALINFO for more information about award nominations and deadlines. Services Spotlight – RAHB annual elections: your vote counts! This month we cast the Spotlight on one of the most important processes that takes place in the RAHB year, where only you, the member, can make a difference. RAHB annual elections: your vote counts! RAHB’s Board of Directors is your voice at RAHB, and every year you have a say in who speaks for you. Very soon, RAHB’s Nomination Committee will be circulating information about the election process for the 2017 Board of Directors. They will be asking qualified candidates to step forward and run for one of the vacant positions on next year’s Board. Whether or not you qualify or want to run as a Director, this is important information for you. RAHB’s Directors set the direction for the association. 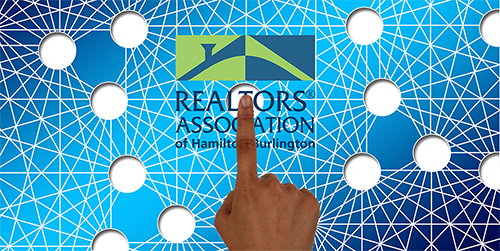 They are there to work in the best interests of members because they are, themselves, RAHB members and they understand the issues facing REALTORS® and the real estate profession. They also have to be aware of how market, technological and other changes affect the association. Based on their knowledge of these factors, Directors decide on the present and future direction for RAHB and its members. With that kind of responsibility, it’s important that Directors have the skills and knowledge to carry out their duties on behalf of all RAHB members. When you see the Nomination Committee’s email with information about nominations for next year’s Board of Directors, read through and see what it takes to be a Director. Do you know someone you would nominate because they would make a good Director? Would you run yourself? Would you like to meet the candidates so you can talk about their platform and what you think is important? Find answers to these and other questions in the Nominations Committee package coming to you at the end of the summer. Be part of the election process and have your say in how RAHB’s future will unfold. Professional development and education is an important member service at RAHB. Although the mandatory “24 MCE credits” is a thing of the past, RAHB members continue to capitalize on the many professional development sessions that are offered throughout the year. Courses, workshops and lectures are presented in the RAHB classroom and at special member events such as the annual REALTOR® CONNECTIONS AGM, Conference and Trade Show. In 2015, RAHB members supported more than 40 sessions, 25 of which were new. RAHB’s Professional Development Committee approves the sessions, which come via members’ suggestions, instructors approaching RAHB directly, or from local, provincial or federal sources. RAHB also partners with the Real Estate Institute of Canada (REIC) and now offers courses where you can earn designations or certifications such as Senior Real Estate Specialist (SRES), Accredited Buyer Representative (ABR), e-Pro, and Seller Representative Specialist (SRS). Sessions offer topical, current and relevant information for you as a real estate professional, and provide you with new skills and insights. Make sure that you watch Message of the Day, direct email, REALTOR® Link® and RAHB’s Facebook group for information about sessions that will put you onto the path of greater personal and professional development. Do you have a suggestion or enquiry? Contact Angela angelam@rahb.ca.